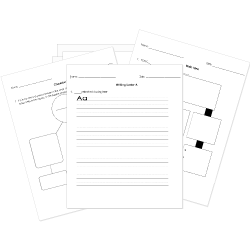 You can create printable tests and worksheets from these Grade 6 Autobiography and Biography questions! Select one or more questions using the checkboxes above each question. Then click the add selected questions to a test button before moving to another page. Helen Keller was born deaf and blind. What is the name of the finger play Helen and Miss Sullivan utilized to communicate with each other? What was the first word Helen understood which unlocked her communication barrier? Do you think Helen should be excused for her behavior before she learned to communicate? Helen learned to communicate using sign language. Eventually, she learned to speak by feeling the in Miss Sullivan's throat.